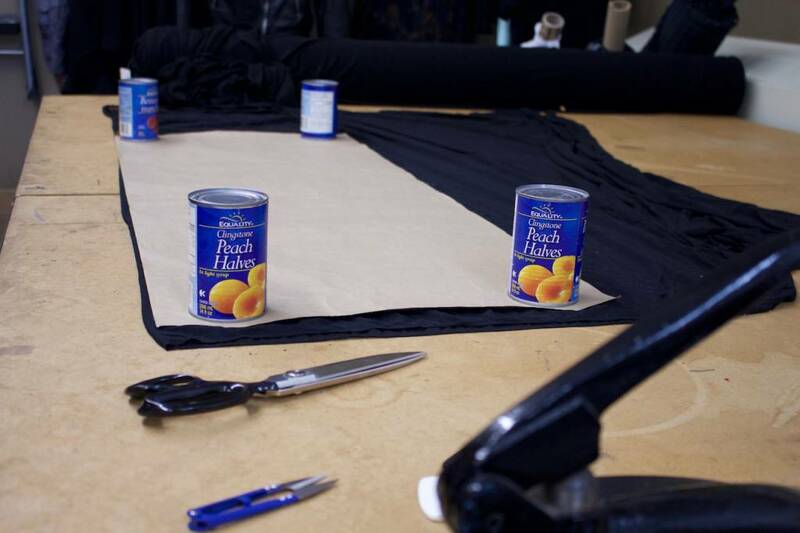 As Bean started doing all the cutting, 11 years ago, she got into a quirky habit of using these 'canned peaches' as fabric weights. Throughout these years they have stayed on the cutting table and remain a staple when cutting one of a kind pieces. We often wonder if the peaches taste any good still!? !